Used to move horizontally by using 2 pieces of commercially available C-type steel with an inner diameter of 25 mm and a width of 35 mm. I also wanted to know the limit weight per piece, as I used to move up and down 40 kg weights, but first I tried to make one. I tried with things of about 10 kg still movement is smooth. This review is about item#38401307. This review is about item#38401194. This review is about item#38401282. For small things, the mold is not printed. Because it is NSK, quality is not a problem at all. It is smooth and quiet as it seems to be usable without preloading. This review is about item#38401221. The product is solid and realizes smooth shaft rotation, I am very satisfied. As a replacement part of the machine. I ordered it as a replacement part of the machine. Machine makers give me a price 5 times! 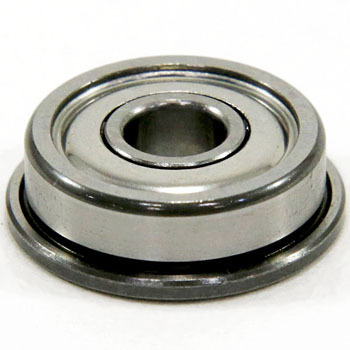 Moreover, we are using a lot of bearings for machinery. . . I understand the importance of the bearing as it is. It was saved because there was the same part number on the same manufacturer. This review is about item#38401151. Smoothness of rotation, accuracy of size etc, no problem. This review is about item#38401176. This review is about item#38401133. This review is about item#38401124. There is a flange, it is easy to install, bring it to making a toy. How to use There is no limit. This review is about item#38401246. Although I have not exchanged yet, what I am currently arriving at is the snap ring type Nano I thought that I wanted to drive a little more on the mounting wall I thought I bought a flange type, the purpose is to increase the protrusion at the end of the roller shaft and screw It is because I want to stop, the current state is a smap ring, but since it is not durable and it will come off soon. I ordered it by saying made in Japan, but both vibration and noise were the worst than the old bearing before exchange. Since I bought 10 pieces, I inspected other bearings, but other bearings also sound like a sharpness, and when I incorporate it in a reel, I can not use an abnormal sound and I can not use it! I have to find other manufacturers. Made in Japan safe. Even small it will turn smoothly. When it is made in China it is sure that garbage is contained, there is play, there is nothing to talk about. This review is about item#38401291. I use it to check the wheel balance of the bicycle front. Since the hub shaft diameter is 9 mm in front and 10 mm in rear, the front is mounted on F696ZZ of this product NSK, and the rear is mounted on the runout using DDLF - 1910ZZ of NMB. Because the heaviest part of the wheel comes downward due to the low rotation resistance of the bearing, the balance can be easily checked. Simply, you can see even if you hold the bearing by hand. There is no worry at all at NSK. This review is about item#38401185. It was much cheaper than ordering from the manufacturer. I will use it again. Used for change arm, brake arm for external goods for motorcycles. It is saved because it can purchase at a low price.